Skin Care. Close-up Of Cosmetician Applying Cosmetic Moisturizer Cream On Young Woman's Face. Beauty Face. Spa Treatment At Beauty Salon. 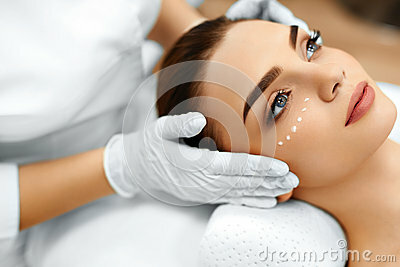 Facial Beauty Treatment.